Home Business The CEO Behind Akon’s $80 Million Dollar Brand… Is His Sister! The CEO Behind Akon’s $80 Million Dollar Brand… Is His Sister! AFRICANGLOBE – Multi-platinum R&B singer Akon has been famous for his music career and unique business projects. His brand is reportedly worth $80 million. But not many people know about his sister, Khady Thiam Gueye, who was actually the woman behind the global acknowledgment and success of Akon’s successful brand. Moreover, she is the founder of her own consulting firm, TMI Worldwide, and she aspires to put up more business ventures in the future! A natural entrepreneur since her childhood, Khady started out her career early. Right after receiving her bachelor’s degree in Public Relations, she worked as an executive assistant for her brother Akon. Eventually, she was given more responsibility as the project manager of Akon Lighting Africa, where she led the PR strategy to spread awareness about the initiative’s efforts worldwide. Aside from that, she served as the COO for KonLive and chief brand officer for Bu Vision Entertainment, owned by another brother, Abou “Bu” Thiam. She also worked with several giant brands where she provides strategic solutions on how to maximize their exposure and profits globally. In the midst of all that, Khady decided to go back to school to finish a master’s degree in Entrepreneurship. 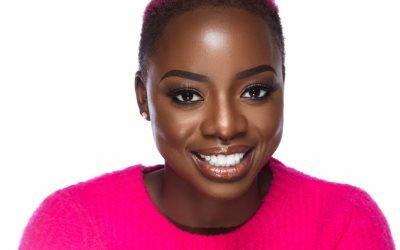 Equipped with more knowledge and skills, she opened up her own consulting firm called True Media Independence, or TMI Worldwide. As a woman, Khady admits that breaking out of administrative roles and making executive decisions in a male-dominated business world has been a challenge. But she gets inspiration from numerous women around the world leading nations or businesses while at the same time managing their families quite well. “This superpower provides indisputable evidence not just of women’s talents and capability to lead but that my contribution is now widely recognized and welcomed in entertainment arenas and networks,” she once said. Her brothers Akon and Bu, who are both entrepreneurs, are some of her most frequent clients and she enjoys it. Their closeness has been a factor in their success, as the success of one means success for all. She said she also receives advice from her brothers who have respect and much involvement in each other’s businesses. A mother of one, Khady has been able to balance between her career and family, thanks to her supportive husband and mother. They discuss their opinions as well as objections regarding her work to make sure her responsibilities stay right on track. Ever unstoppable, Khady plans to launch within the next three years an online school that would help aspiring entrepreneurs and creators through their career and family legacy. In the next five years, she would also like to see her own makeup brand that celebrates melanin tones while repairing problematic skin. She also dreams of hosting her own show, where she could interview fellow entrepreneurs and creators about life and success.